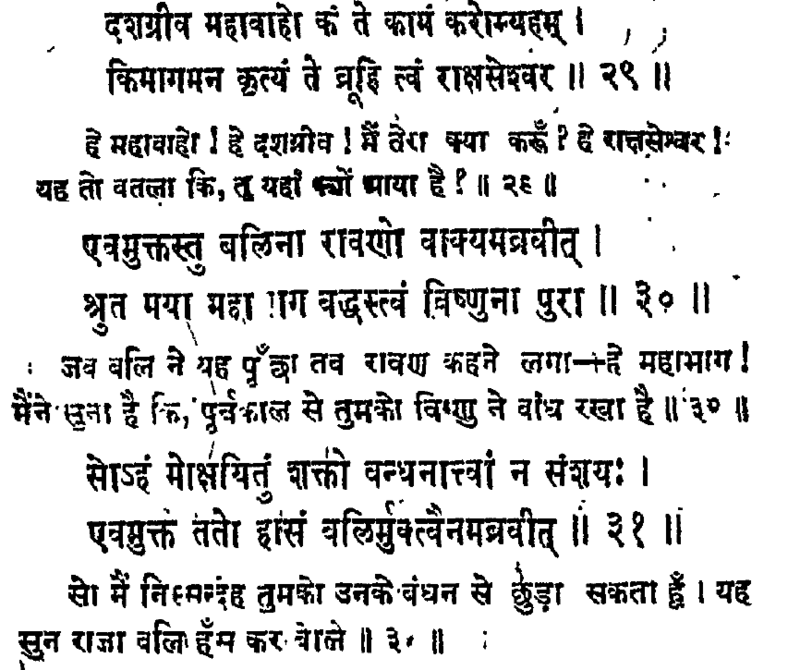 Ravana visited Rasatala to release Bali from the bonds (which Ravana thought due to his ignorance). But Bali, the greatest devotee of Lord Vishnu refused. Also, Bali explained him the greatness of Lord Vishnu. Ravana was humiliated there as he couldn't lift a celestial kundala which Bali asked him to lift in order to test Ravana's powers. So their thoughts were completely different. Few scholars might have treated them as enemies due to this. [king Bali]: O Ten necked lord of Rakshasas, O thou having long arms, what desire of thine may I satisfy? Do thou tell me what for thou hast come hither. Being thus addressed by Bali Ravana said I have heard, O illustrious sir, that formerly thou wast bound by Vishnu. The complete story of the conflict between Ravana and king Bali is given here. As per Vishnu Purana - Part 5 - Chapter 35, Lord Krishna's son Śámba was married to daughter of Duryodhana. But still Lord Krishna and Duryodhana were not friends. So it's not necessary that relatives have to be friends only.